The Roethke House (more officially, the Theodore Roethke Home Museum) is the childhood home of the Pulitzer Prize winning poet, Theodore Roethke, (1908-1963). 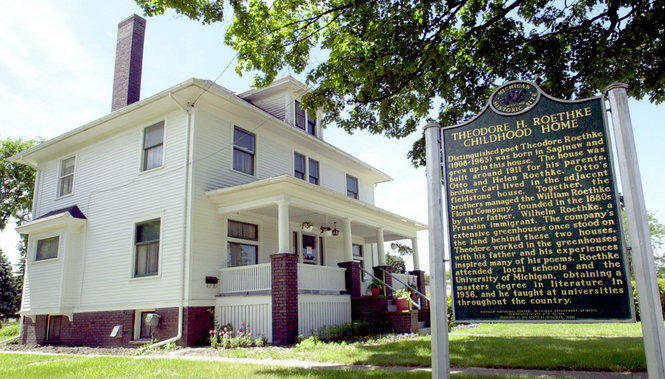 Located at 1805 Gratiot Avenue in Saginaw, Michigan, the Roethke House has been preserved by the Friends of Theodore Roethke Foundation, a 501(c)(3) nonprofit foundation whose mission is to promote, preserve and protect the literary legacy of Theodore Roethke by restoring his family residences in Saginaw, Michigan, for cultural and educational opportunities. The Roethke House was designated a National Literary Landmark in 2004 in recognition of the profound impact Roethke had on American poetry and the influence his home had on his writing. A Michigan Historic Marker marks its location and the house is included in the National Register of Historic Sites. 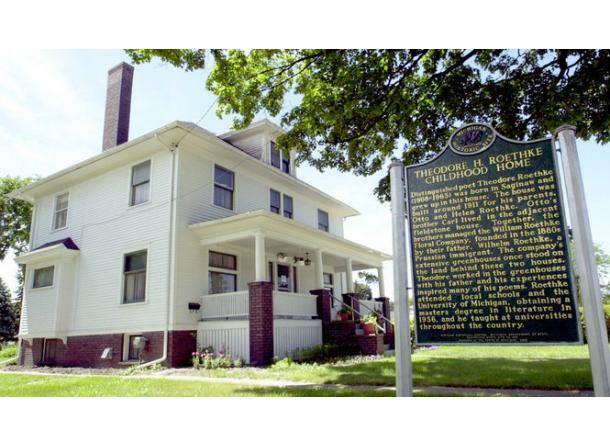 Tours of The Roethke House are available. In addition, poetry readings, talks, workshops, and school programs are regularly offered. A year-long series of events, supported by major grants from the National Endowment for the Arts and the Michigan Humanities Council celebrated Roethke‘s Centennial in 2008-2009. Friends of Theodore Roethke Foundation has been in existence for over ten years. Currently, the organization is working on capital funding to renovate the Roethke Home Museum, restore the adjacent Carl Roethke residence at 1759 Gratiot into a cultural/educational center with classrooms, and add a greenhouse pavilion for arts events.